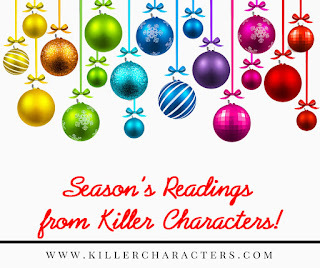 Killer Characters: Planning a Christmas Menu- Help Wanted! Planning a Christmas Menu- Help Wanted! Until the age of ten, I lived in Holmes County, Ohio and interacted and lived by the Amish every day. In fact, my beloved aunt Eleanor left her English life to marry my Uncle Jacob and join the Amish church. However when I was ten years old, my father got a big fancy executive job in Dallas Texas, and he, my mother, and I moved to the Big D. I never expected to come back. 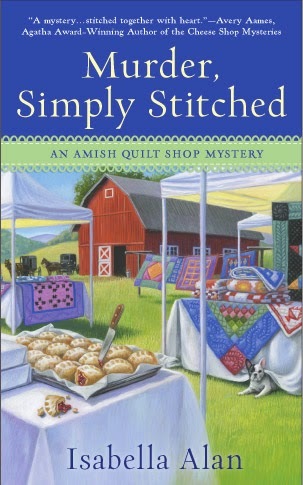 Then over twenty years later, my engagement to a Texas lawyer was in shambles and my aunt Eleanor died, leaving me her Amish quilt shop, Running Stitch. I gave up my high-paying advertising job, told my ex-fiancé to take a hike, and moved back to Holmes County to take over the shop. It was the best decision I’ve ever made, and that is never more evident than at Christmastime. There’s nothing quite like an Amish Country Christmas: the Christmas carols, the greenery, the snow… and the food. The very best part is the food. This year, my boyfriend, Sheriff James Mitchell, and I are co-hosting a Christmas dinner party at his house. We’ve invited all our Amish and English friends. Everyone will be there from the ladies in my quilting circle at Running Stitch to Mitchell’s son. Even Mitchell’s ex wife is coming. She’s not so bad… most of the time. We're having the party in early December before Christmas itself. It’s very important for the Amish to have Christmas at home, so we thought it would best to put it on another date to ensure that most of them would be able to come. One of the things that I want to share with my Amish friends is our non-Amish food traditions, and I need help. If you were hosting a big Christmas dinner party what would you put on the menu? What is the dish you can’t live without at Christmas? 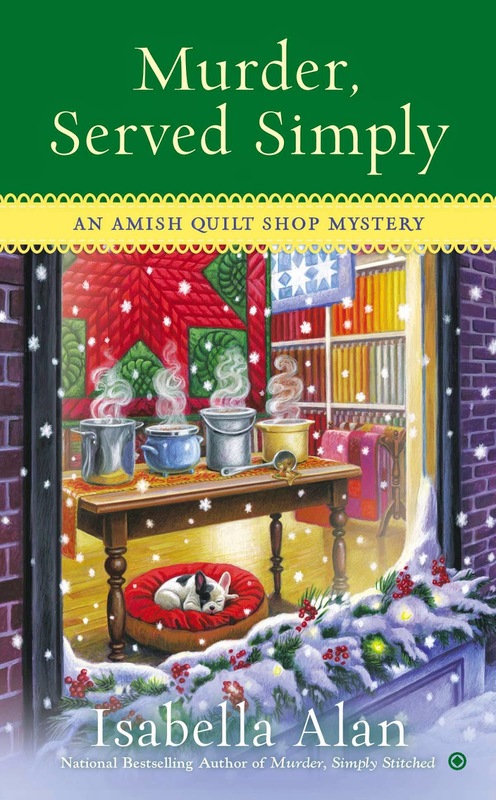 Leave the name of your favorite Christmas food in the comments of this post for a chance to win Murder, Simply Stitched, the second book in the Amish Quilt Shop Mysteries, written by my biographer Isabella Alan. Please include your email address with your comment. The winner will be notified by email. 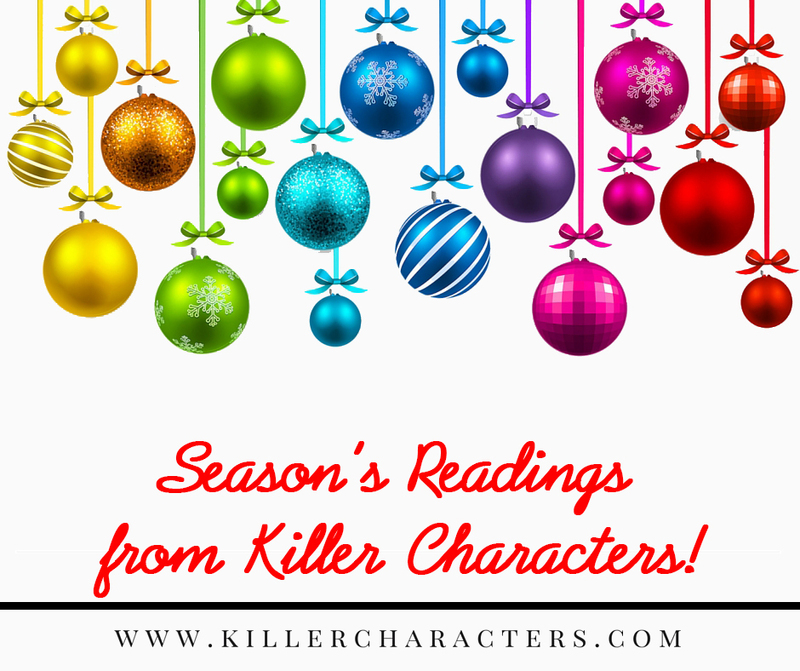 The contest ends at 12pm EST on Sunday, December 6, 2015. The contest is open to U.S. and Canada residents only. Good luck and thanks in advance for those food ideas! My mom has the delicious recipe for (homemade) dinner rolls which is a crowd pleaser. I also would do the potato casserole. Homemade Cranberries are my favorite thing at Christmas...yum...thanks for the Contest. Having oyster stew...a Christmas eve tradition! 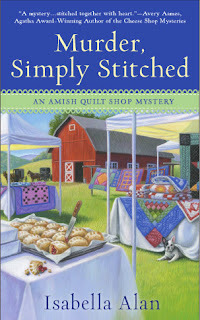 Love the Amish Quilt Shop Series!! We have to have green beans made with bacon and pumpkin pie. My favorite Christmas food is cookies, fancy ones. I have to have dressing and ham. Christmas day breakfast I make a special egg casserole. Eggs,sausage ,cream of mushroom soup, Sherry,and cheese. The smell while cooking is wonderful. The taste awesome. My family insists on turkey, but I prefer ham. I love the dressing and then pecan pie! Favorite Christmas foods: 1. the pies. 2. the banana bread I bake every season for my brother & son-in-law. It's a tradition. 3. My latest favorite is the bourbon balls I tried out last year. That's now going to be a tradition too. My favorite Christmas food--believe it or not---is the fruitcake. That's a tough one! Pecan pie or fudge, I guess! I love parsnips sauteed in bacon fat. It sounds like a cardiologist call in the making but when prepared right they are so sweet with the touch of saltiness. Also peppermint cheesecake with oreo crust is my daughter's favorite. Green bean casserole with the fried onions on top. Hope the party goes well! Thanks so much for the chance to win! Oh, and it's really a "New England" thing I guess. But we are more widely spread around the country now, so maybe others will know it too. I have to admit to a sweet tooth. I love Dark chocolate Turtles. Turtles are pecan halves dropped with caramel and covered with dark chocolate. They look like turtles. When I was in high school in southern Indiana I worked at the Tastes Frees. A Mennonite would occasionally bring a car full of Amish friends for a great. They would always get a giant vanilla soft serve cone or a large orange crush drink. The best part of Christmas is a peaceful day with family. My wonderful former mother-in-law (yes, that's right "former") used to make the most delicious holiday candy assortment. From pecan covered fondant logs to fudge and divinity, she would make TRAYS of goodies for all the family. She passed away recently and will be missed by many. ksarginson@tampabay.rr.com. All I need is a tasty dessert, but a nice roast beef is tasty and fairly easy to prepare for a group. My favorite Christmas dessert is a Yule Log. I can't think of anything that the Amish might not have. I really love candied sweet potatoes. What I wish I could always have, but rarely get anymore is dressing (especially like my mom's) and roast pork (like my gma's). Every year we make hundreds of 3" wreaths made ( like rice krispy treats) with corn flakes, marshmallows and green coloring and red hots on top for berries! Absolutely adorable and delicious!!! We don't have a set Christmas dinner-usually some kind of beef. To me, the part that makes it Christmas is the fruit blintzes we have for breakfast! My Grandmother's corn salad. We have had it on Christmas as long as I can remember. Spritz cookies. Always a favorite for me! Stuffing and gravy! Always tastes better shared with family and friends! Date bars are a favorite sweet, but I do love cranberry rolls, cranberry salad, scalloped potatoes, ham and of course pecan pie. Homemade potato and cheese pierogies. Merry Christmas! Well it would be Eggplant Parmigiana not sure of spelling. But we have it every Christmas along with all the usual stuff. Thanks for a chance to win your giveaway. My mom's Cranberry Salad.... so decadent! I would have prime rib. We have to have our homemade variety of cookies and pumpkin pie .Me, I like to have my cranberry relish. I love a good Pumpkin Dump Cake with lots of whip cream. After all Christmas only comes once a year. We have to make multiple batches of Caramel puffcorn every year! Time to ready the roasting pan. My favorite Christmas treat is cranberry orange relish.